I wrote this Newsletter for my mailing list, and I sent it to all the people who are part of it. If you would like to subscribe to my mailing list and receive these messages, please fill out this simple form: click here to fill out the form. Today I will write about a topic that I have in my mind all the time, and that I consider very interesting and important these days. Sofia Ribeiro, with whom I have been working for the past 8 years composing, arranging, playing and touring, is in the middle of her Kickstarter campaign, so I think it’s a good moment for this text. Last Thursday, after our release concert with my big band at Dizzy’s in New York, I stayed talking with a few friends who came to the show. 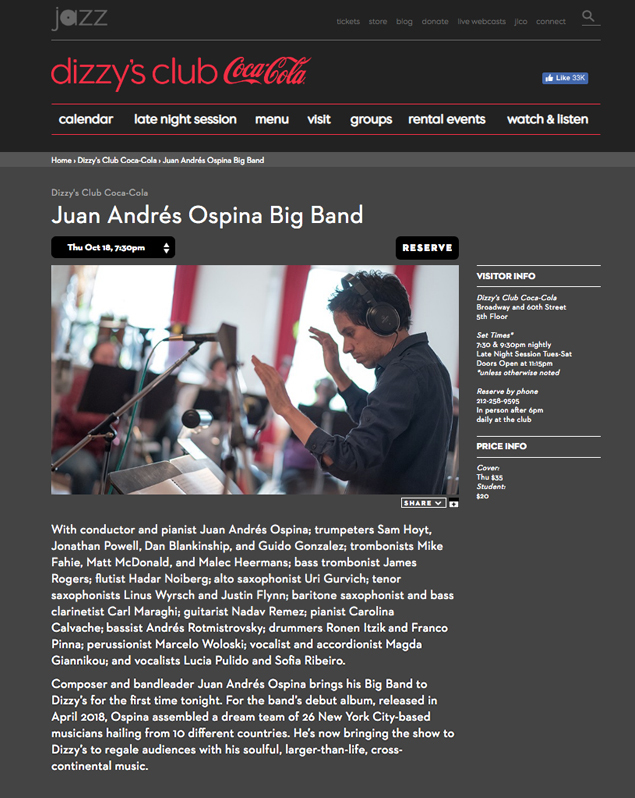 Some asked me about the big band project, and we ended up talking about the music industry; they were very surprised to hear many of the things I told them, and I was very surprised to see how far their perspective was from reality. Those of us who dedicate our lives to this (and this is probably the case for any independent creator, regardless of their branch), live in the constant contradiction of having (and wanting) to talk about our professional achievements, and at the same time have to deal with the distortion of the reality that many times this leads into. We publish photos of our concerts and our tours, we share articles which talk about our work, we talk about the albums we record and the videos which showcase what we do, and on top of that we always try to make everything look as professional and impressive as possible. We share everything through social media and any platform we have access to, and in exchange we receive comments and likes from those who appreciate our work. This is a very exciting process; one which gives a lot of meaning to the effort and hard work behind everything we publish. My question is, how can we have our audience not end up being confused with so much virtual success, and actually remember that without the support of those who ‘consume’ our product, our work is unsustainable? I mean, in the middle of all these fireworks sometimes we make people loose track of how important it is for us that people actually come to our concerts, pay a ticket, buy an album, recommend our work, etc. “Probably they don’t need me,… they are doing so well!”, many probably think. The truth is that every single contribution makes a big difference, because at the end the real motor which keeps the majority of these independent projects moving forward is the love for the art, and the almost visceral desire that we have of dedicating our lives to what we love and share it with the world; but the music industry sometimes seems to be designed for us to not be able to achieve this. The other day Sofia asked her followers through her social media how did they listen to music, and 90% of the people answered that through Spotify. 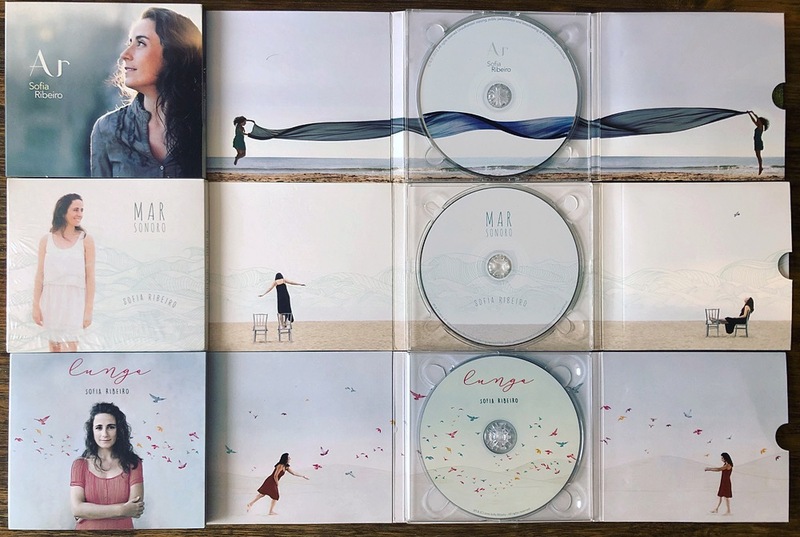 I don’t know if what I am going to tell you will surprise you or not, but since 2012, the two albums I arranged and produced for Sofia “Ar” (2012) and “Mar Sonoro” (2016), have produced a total of 255 dollars; now imagine that for “Mar Sonoro” we had a string section of 8 musicians, and that we paid $250 to each for the three songs they recorded. This means that all the money that Spotify generated with these two albums in more than 6 years, barely covers the payment of one of the musicians in the string section of one of the two albums. Now add to this the studio costs, arrangements, production, engineers, mixing, master, musicians, printing, artwork, videos; and multiply that by two. The equation is simply unsustainable. I think that it is positive that the music is out there for everybody, and in that way Spotify is a great platform. But for us to actually make the music that will be then available for everybody, is a true odyssey. At the end the consumer only needs to wait comfortably for the content to arrive magically, and then enjoy it for as long as he wants to. Truth is the fact that the final product is so easy to ‘consume’ does not mean at all that it is easy to produce; and that is why we all need to become responsible consumers. Same thing with Youtube. And Deezer. And Instagram. We have more tools than ever in history to share our work (which is something pretty amazing), but the resources we have to create certain products is almost inexistent. My mom has a Youtube channel that has become pretty popular; she has been working in it for years and I have been helping her out with everything since the beginning. 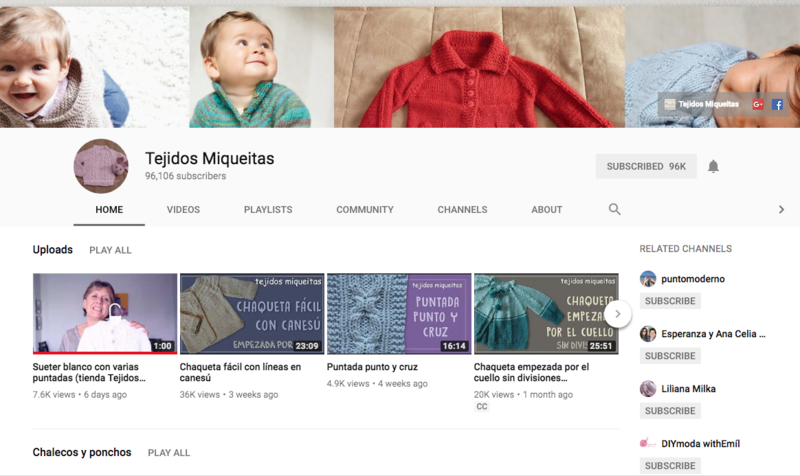 She has recorded around 50 videos totally auto-produced in which she teaches knitting, which have millions of views and tons of comments from all over the world. She loves it, and she is really happy and enthusiastic about all this, but it has been slowly becoming a full time job; nowadays she spends most of her day making new videos, and answering messages of people asking her stuff related to her tutorials. Last week we uploaded a tutorial to her website, which is offered for sale, and though she got a few comments from people encouraging her and thanking her for all that she has done so far, she also got several messages of people complaining. “My friends, where is the world coming to?”, asked a woman in a comment, outraged by the fact that my mom is now charging for one of the more than 50 videos she has uploaded so far. The problem is that if we don’t talk about this as creators, we cannot expect people to get it. In between the immediacy of the internet and the daily fireworks’ show that those of us who create content display every day, it is understandable that at the end we are having this crazy distortion of reality. I truly believe that if we were more aware of how badly the digital platforms pay the creators, and of all the work that is behind what we consume through them, there would be more empathy and will to support those who are trying to deliver this content. Because in the end, if my mom gets tired of not making any money at all, Miss ‘where is the world coming to’ won’t have any more of these models that my mom has been giving up for free for years with so much love and dedication! But I also want to make something clear here: I decided to dedicate my life to this even knowing that nobody was asking me for it. No ones owes me nothing; every day I decide to do this and I am also aware of the rules of this game in which I am trying to play a part. What I want to say with this long text, and that sometimes we give for granted, is that the support of all of us is crucial for small industries to be able to survive: be art, music, theatre, film, agriculture, gastronomy, culture. Behind all independent businesses there is always someone who is banging his brains and pockets every day, and unfortunately nobody can making a living through “likes”. And its not charity: it is a matter of supporting those who produce what we consume. We are all part of the puzzle! We want to make music. This is what we love, we prepared ourselves the best way we could to do so, every day we work hard to become better, and we feel that we have something to offer to the world. 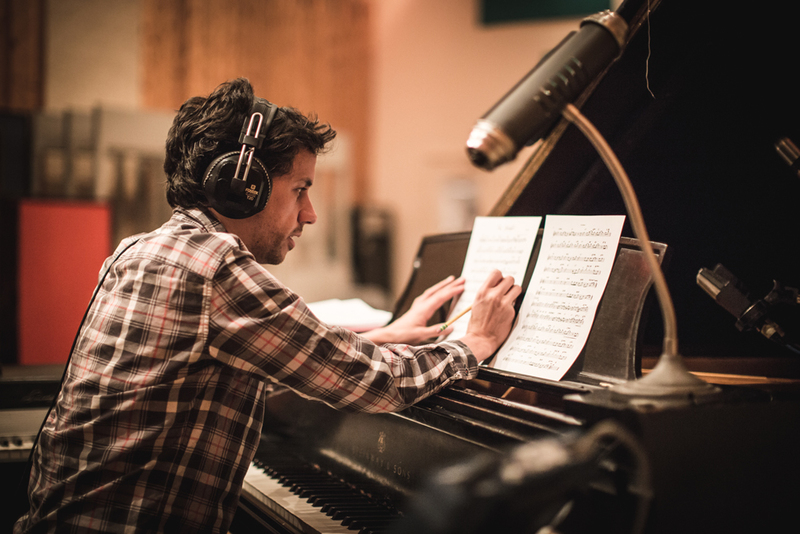 But with every album most of us feel we want to quit; every project feels like pushing a truck, uphill. If we enjoy the work that an artist does, and it makes us feel good and it inspires us, then we have the responsibility of contributing through our own possibilities so that this person can keep doing it. 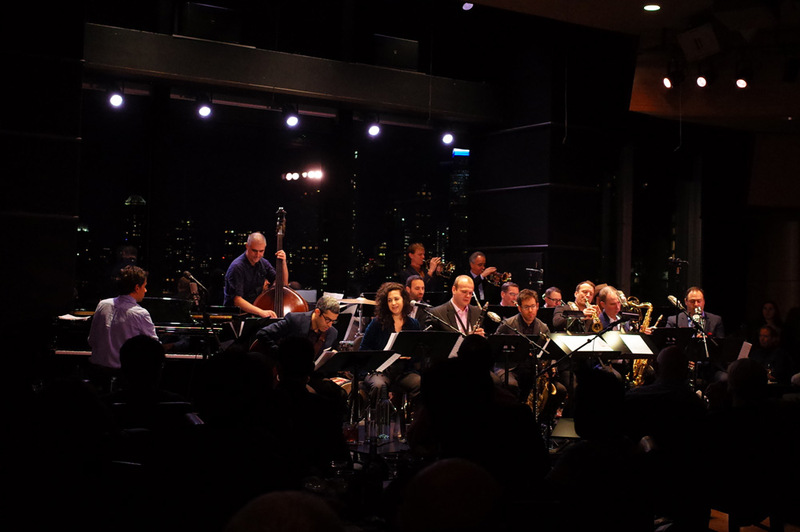 Again, last week we played a concert at Dizzy’s here in New York. It was a spectacular concert that I will never forget, and I believe that it was also very special for all the musicians and everyone in the audience. We had two sold out sets, and everyone’s feedback was incredibly positive. At some point I talked to the audience, and told them that without the support of those who participated in my Kickstarter campaign, none of what happened that night would have ever occurred. Without your support I would not have been able to record the album, and thus that magical night wouldn’t have been possible. It might sound like a super rock star stadium cliché, but it is true that without the support of his followers, the artist cannot put out his work. It is as simple as that. To end all this, I would like to invite you to participate in Sofia’s Kickstarter campaign. I have spent a big part of the year working on it, and I can assure you this is going to be a really beautiful album that deserves to come out. We only have a few days left, and we need to reach the goal to make it possible! I don’t know if you reached the ending of this letter, and I hope that you won’t run away desperately from this Newsletter after seeing how long it ended up being. Sorry for any English mistakes I might have done,… its been a while since the last time I wrote such a long text in a language different than Spanish! I receive all your comments with joy, and although I might not do it right away, I always reply. Thanks again for your time and your support, have a great week! CLICK HERE TO VISIT SOFIA’S KICKSTARTER CAMPAIGN! Juan, this is a wonderful post. Thank you for taking the time to articulate this so clearly. I believe this is an important essay for fellow artists and musicians to read as well as listeners and supporters. 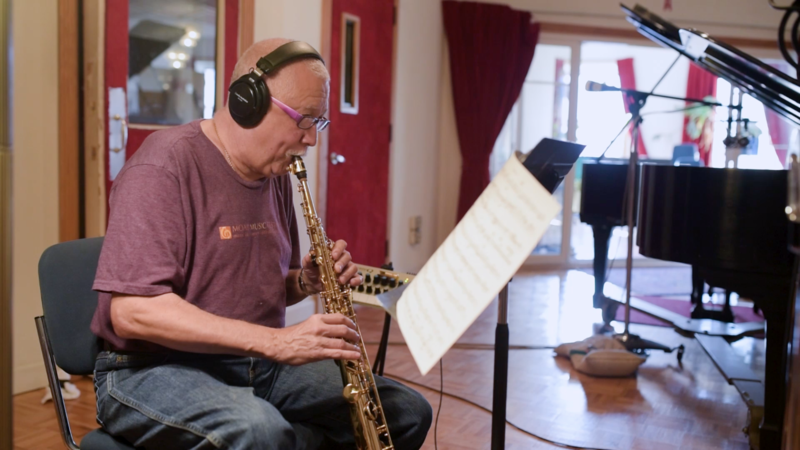 Because it is so easy for us musicians to look at each other’s work and be deceived by the “fireworks” too – “Oh, look at so-and-so, he is doing so much better than I am, he is playing at such and such a club, or working with these people, etc . He has is going on and I don’t! !” I don’t believe this is because of any bad intentions, but it’s just the nature of the digital platform. We are all putting on a magic show! It is very helpful to read this kind of honesty from someone I admire very much, so I can see that we are all going through the same struggle, no matter our “level.” And that the discouragement I feel on a daily basis is not unique to me. Ultimately, this is a spiritual thing we are all doing. The more I persevere in my dedication to music, the more I see that on its deepest level it is a method for personal development, like meditation, in community. I believe every evolved culture values art-making for the reason that in pursuing an art over a lifetime, a human being develops the ability to be rationally present AND emotionally present at the same time – in other words, in performing/writing music/poetry/painting, one’s left brain and right brains learn to work together at a high level. And in community! This is one of the highest things a human can learn to do. But — obviously, we are all living on the earth in an economic system and need to find a way to make this work to sustain the artist. Thank you for your clear and powerful essay.